Digital Pursuit - Miami Web Development: How to Boost Mobile Application Marketing with Social Media? 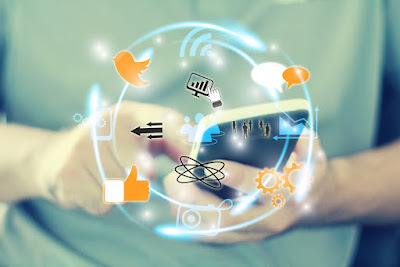 How to Boost Mobile Application Marketing with Social Media? Social media is the most powerful marketing channel for app publishers. When used smartly, it works as an effective way to raise the exposure and user retention. So, how will you boost your app marketing with social media? In case you don't have any experience of online marketing, applying social media to boost your app downloads may seem like a challenging task. But with proper plan and strategies, it is easy to promote your mobile app. In order to promote your upcoming mobile app, it is vital to create news. This strategy works not only in the first stages of mobile app development but even after a successful launch in the marketplace. It can be accomplished by making consistent yet valuable postings on social media such as Facebook, Twitter, Instagram and other popular platforms. Once you launch, make sure to ask the feedback from your users and followers. It is essential to engage them with useful content, impressive pictures, and videos. Content is the King; when it comes to search engine optimization and marketing. So, whether you are launching a website or a mobile app, it is necessary to provide your users with fruitful content. The content can be shared in the form of blog, press release, or tweet. If you are promoting your mobile app, choose and share the best available content. It will be an ideal representation of your mobile application so that the users can judge the functionality of your product. Social Media is known as the cost-effective platform widely used for marketing. Most of the popular platforms are available for free where you want to boost your followers. Also read: Mobile App Development - How Does It Affect Your Web Presence? An image tells a significant amount of descriptive text that can be used to promote your mobile app in the most effective way. You can create engaging posts with the images in order to make your app stand out from the crowd. You can highlight any exciting features of your app in the image. Moreover, you can use infographics to present the functionality or any valuable tips relevant to your app. Being the most powerful platform for marketing, social media helps you promote your mobile app with ease. Follow all these above-mentioned tips to maximize mobile application marketing. Besides, if you are looking for a reliable mobileapp development company in Fort Lauderdale to build an amazing mobile app, then visit Digital Pursuit. Miami web development. Simple theme. Powered by Blogger.